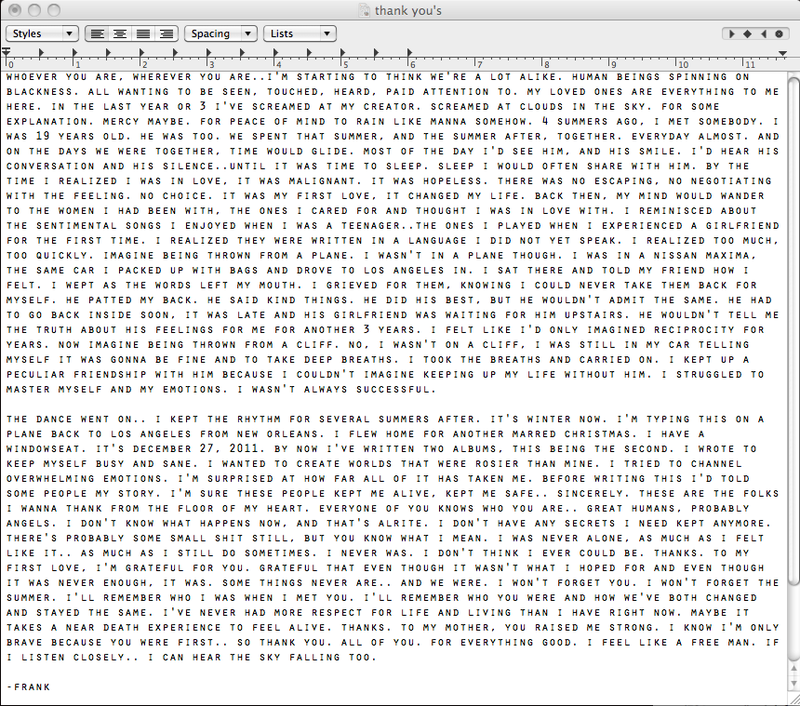 In a very bold move, hit singer/songwriter Frank Ocean shared with his online audience a letter he'd written. Not just any letter though- this letter clearly lays out that he has had a romantic relationship with a man and has battled with feelings for another man for years. 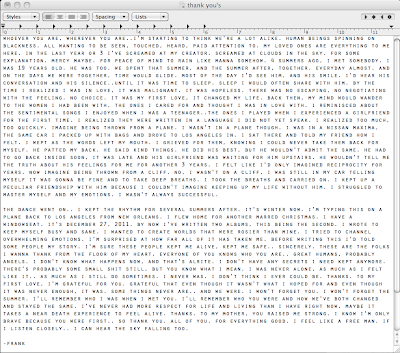 Frank has become one of the most sought after and talented song writers today- which is evident even in this letter. After reading all I could think of was how eloquent and great it was to read- even a letter from such a profound lyricist. Most important and resonating though was the fact that he took such a courageous risk in releasing this letter to the public anyway. Some will agree, some will disagree, and some will even condemn, but ultimately as he put it- he has released himself of the burden of secrecy that has plagued him for years. The secret lives that we claim to hate in this society can only be eliminated by the truth- whether you like the truth or not. The interesting fact is that Frank, being a black male is among the group of men most categorized as being on the "down low" for fear of being judged. I ask if being on the "down low" is wrong, but they are also condemned when they step out of the shadows as Frank has, then what do people really want? I believe that very question and understanding that the answer to it is simply- "What they want doesn't matter." is what led Frank and has led others to speak their truth. I am totally amazed at how bold Frank was tonight. Incredibly bold. His letter below-click to enlarge.